On Monday 21st July Ochresoft and Lawyer Checker will be partnering up to offer you an up to date picture of the risks that are out there for today’s conveyancer. Jenny Owen – Lawyer Checker’s head project manager is joined by Ochresoft’s own conveyancer Natalie Morse. 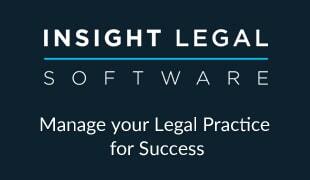 Together they will give you the lowdown on how Lawyer Checker and its integration within the Intelliworks case management system can work for you. The hour’s session is worth 1 CPD point for your attendance. Ensure that all your conveyancing transactions are safe and secure. Give yourself, your firm and your client the peace of mind that monies transferred are being sent to a legitimate source. For as little as £10 + vat this is a disbursement that client purchasers will be happy to pay. Demonstration of Outcome Focussed processes. Reassurance to your client that their money is going to a bona fide conveyancer. Be a well informed and diligent conveyancer; combat criminal conveyancer clones. Use Lawyer Checker and be armed with the right tools and information to be able to obtain the assurances you need to act in the best interests of your client.